Impeccable narration and delivery but story was lacking in emotion. Descriptions of characters and locations was insufficient for immersion. a good game with a good story. This book is only here for those who interested in the story of the game and not playing it. it was a nice story, though. overall it was good, despite some bits being left out. Sad I've finished it now. Loved it just as much as the game and Alastair Duncan is a brilliant narrator. First off the reading was excellent on this book, despite his best efforts the story was still fairly lacking. The description was weak at times and failed to describe the gravity of the situations that Kratos gets into. I'm sure this writing style works great when emphasised with visual effects of the video game but as a book it was really lacklustre and I had to force myself to persevere and finish this title. Great Audiobook! fun and awesome! the story matched everything from the game but not in order, the narration was fantastic and the ending was much better than the games. now I have to play the game! 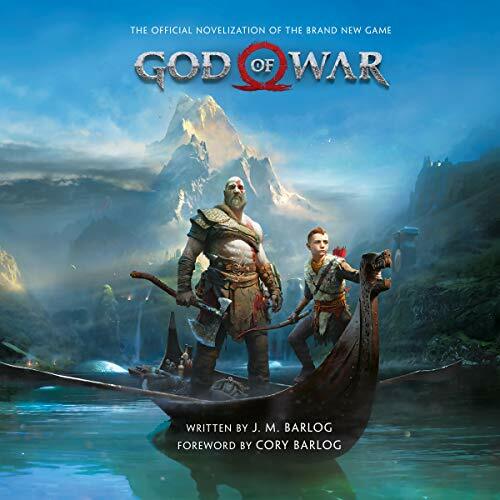 got this audiobook because I asked for the game for Christmas....... I can't wait to play it! Hearing Mimir tell the story of the game was the best experience both in the game and as a narrator for this book. I really want to listen to more books narrated by Alastair Duncan. adds even more to the game. A great read by the voice of Mimir, adds another layer to the best game of the year. I had already played GoW before I listened to this novelisation, and found it wonderful. Alastair's reading of the book made it seem much more authentic, like a tale being retold as opposed to a script. I absolutely adored the way the story portrayed Kratos and Atreus, and their relationship. I loved God of War. It was an amazing game from start to finish. This book feels like a cheap fanfic of the game. It's poorly written and doesn't do the game justice. It's a pity considering how well the video game itself was written. Alistair (The narrator) does an amazing job and it feels like Mimir is telling you a story.